Scarlett, S., Lafreniere, D., Trepal, D., Arnold, J. and Pastel, R. 2018. Engaging Community and Spatial Humanities for Postindustrial Heritage: The Keweenaw Time Traveler. American Quarterly, Vol. 70, no. 3: 619-623. Arnold, J. and Lafreniere, D. 2018. Creating a Longitudinal, Data-Driven 3D Model of Change Over Time in a Postindustrial Landscape Using GIS and CityEngine. Journal of Cultural Heritage Management and Sustainable Development, Vol. 8, no. 4: 434-447. Baeten, J., Langston, N., and Lafreniere, D. 2018. A Spatial Evaluation of Historic Iron Mining Impacts on Current Impaired Waters in Lake Superior’s Mesabi Range. AMBIO- Journal of the Human Environment, Vol. 47, no. 2: 231-244. Arnold, J., and Lafreniere, D. 2017. The Persistence of Time: Vernacular Preservation of the Postindustrial Landscape. Change Over Time: An International Journal of Conservation and the Built Environment, Vol. 7, no. 1: 114-133. Sadler, R., and Lafreniere, D. 2017. You are where you live: Methodological Challenges to Measuring Children’s Exposure to Hazards. Journal of Children and Poverty, Vol. 23, no. 2: 189-198. Sadler, R., and Lafreniere, D. 2017 Racist Housing Practices as a Precursor to Uneven Neighborhood Change in a Post-Industrial City. Housing Studies, Vol. 32, no. 2: 186-208. ​Baeten, J., Langston, N., and Lafreniere, D. 2016. A Geospatial Approach to Uncovering the Hidden Waste Footprint of Lake Superior’s Mesabi Iron Range. Extractive Industries and Society, Vol. 3, no. 4: 1031-1045. Lafreniere, D., and Gilliland, J. 2015. “All the World’s a Stage”: A GIS Framework for Recreating Personal Time-Space from Qualitative and Quantitative Sources. Transactions in GIS, Vol. 19, no. 2: 225-246. Dunae, P.A., Lafreniere, D.J., Gilliland, J.A., and Lutz, J.S. 2013 Dwelling Places, Social Spaces: Revealing the Environments of Urban Workers in Victoria using Historical GIS. Labour/Le Travail, Vol. 72 (Fall 2013), 37-73. Ridge, M., Lafreniere, D., and Nesbit, S. 2013. Creating Deep Maps and Spatial Narratives through Design. International Journal of Humanities and Arts Computing, Vol. 7: 176-189. Scarlett, S. 2011. The Craft of Industrial Patternmaking. The Journal of Modern Craft, Vol. 4, no. 1: 27-48. Dunae, P.A., Lutz, J.S., Lafreniere, D.J., and Gilliland, J.A. 2011. Making the Inscrutable, Scrutable: Race and Space in Victoria’s Chinatown, 1891. B.C. Studies, no. 169 (Spring 2011): 51-80. Lafreniere, D., and Rivet, D. 2010. Rescaling the Past through Mosaic Historical Cartography. Journal of Maps, Vol. 6, no. 1: 417-422. Trepal, D. 2009. The Gun Foundry Recast. IA: Journal for the Society of Industrial Archeology Vol. 35, nos. 1&2: 73-90. *Lafreniere, D., and Gilliland, J. 2018. Following Workers of the Industrial City across a Decade: Residential,Occupational, and Workplace Mobilities from 1881-1891 in Ian Gregory, Don Debats, and Don Lafreniere, eds., The Routledge Companion to Spatial History. London: Routledge, 299-319. *Lutz, J., Lafreniere, D., Harvey, M., Dunae, P., Gilliland, J. 2018 “’A City of White Race Occupies its Place’ Kanaka Row, Chinatown, and the Indian Quarter in Victorian Victoria” in Ian Gregory, Don Debats, and Don Lafreniere, eds., The Routledge Companion to Spatial History. London: Routledge, 320-348. *Oiamo, T., Lafreniere, D., and Parr, J. 2016. “The Making of a Key North American Environment of Mobility: the Windsor-Detroit Borderland.” In Colin Coates, Jay Young, and Ben Bradley, eds.,Moving Natures: Mobility and the Environment in Canadian History. Calgary: University of Calgary Press, 175-198. *Lutz, J., Dunae, P., Gilliland, J., Lafreniere, D., and Harvey, M. 2013 “Turning Space Inside Out: Spatial History and Race in Victorian Victoria.” In Jennifer Bonnell and Marcel Fortin, eds., Historical GIS Research in Canada. Calgary: University of Calgary Press, 1-26. Scarlett, S. 2013. "Crossing the Milwaukee River: A Case Study in Mapping Mobility and Class Geographies." In Arigit Sen and Jennifer Johung, eds., Landscapes of Mobility: Culture, Politics, Placemaking. Farnham, Surrey: Ashgate, 87-104. Dunae, P.A., Lutz, J.S., Lafreniere, D.J., and Gilliland, J.A. 2012. “Race and Space in Victoria’s Chinatown.” In Richard Mackie and Graeme Wynn, eds., Home Truths: Highlights from BC History. Madeira Park, BC: Harbour Publishing, 206-239. Trepal, D. 2013. A Slice of Early Seward: How Archeology Provides a Glimpse into Daily Life in the Frontier Town. Kenai Fjords National Park. Lafreniere, D. 2012. Review of Sherry Olson and Patricia Thornton, Peopling the North American City: Montreal 1840-1900. Journal of Historical Geography 38, no. 2: 207-208. Scarlett, S. 2012. "The Cultural Landscapes of Mining in Southwestern Wisconsin" in Proceedings of the Vernacular Architecture Forum Annual Conference, edited by Andrzejewski, A., Alanen, A., and Scarlett, S. Vernacular Architecture Forum. Trepal, D. 2012. Review of Catoctin Furnace: Portrait of an Iron-Making Village by Elizabeth Yourtree Anderson. IA: Journal for the Society of Industrial Archeology Vol. 38, no. 1: 104-105. Lafreniere, D. 2009. “The Forgotten Capital: A Historical Atlas of Sandwich, Ontario.” Honors Thesis, Eastern Michigan University. Scarlett, S. 2008. “‘Everything in My Life Seemed to Point to This Work:’ The Roots of the Artistic Furniture of Charles Rohlfs,” Introduction in Joseph Cunningham, The Artistic Furniture of Charles Rohlfs (New Haven: Yale University Press, 2008), 1–18. Trepal, D. Forthcoming. The Archaeology of the PostIndustrial: Spatial Data Infrastructures for Studying the Past in the Present. PhD Dissertation, Michigan Technological University. Arnold, J. 2017. 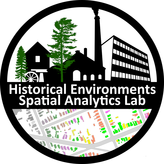 Preserving the Vernacular PostIndustrial Landscape: Big Data Geospatial Approaches to Heritage Management and Interpretation. PhD Dissertation, Michigan Technological University. Trepal, D. 2008. Evolution in Iron: The West Point Foundry Casting House 1817-1912. MS Thesis, Michigan Technological University.